It was a busy week for our relationship with Local Government NSW (LGNSW). 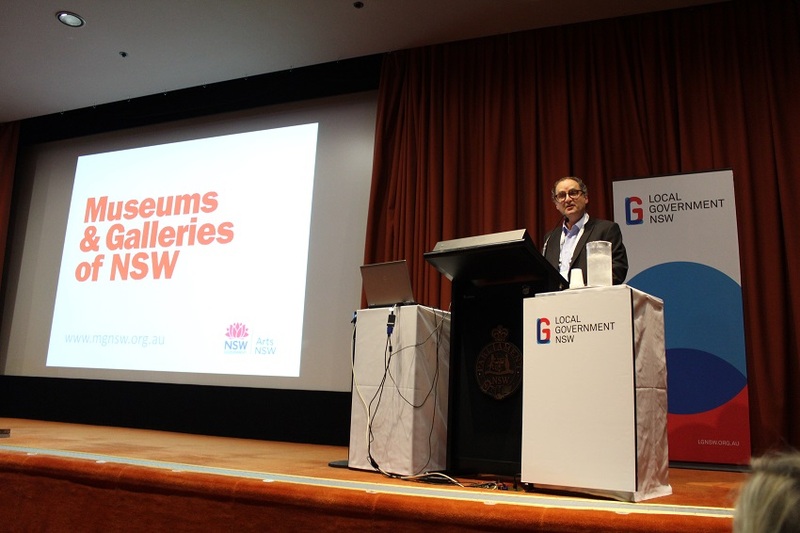 Following the Museum Managers Roundtable, on Friday 29th, the LGNSW Arts & Cultural Forum was held at NSW Parliament House. Over 100 delegates represented councils state-wide. Mayors, councillors, general managers, senior staff and program managers gathered to hear invited speakers and panel discussions covering a range of topics and items of interest. Donna Rygate, CEO, LGNSW, welcomed delegates and introduced Samantha Torres, recently appointed Deputy Secretary Arts & Culture, NSW Department of Justice (Arts NSW). Tim Hurst, Acting CEO, NSW Office of Local Government and John Smithies, Director, National Local Government Forum, Cultural Development Network, were among those who spoke. In it I emphasised the nature and scope of our sector support programs and in particular that much of what cultural, social and economic return is achieved (by having and/or supporting a museum, gallery or Aboriginal cultural centre) is dependent on the quality of programs run, the exhibitions, activities, research, collections and storytelling, the ideas and excitement generated. This assertion was at the heart of my message—caring foremost about the impact of what museums, galleries and Aboriginal cultural centres do, the role that they play—was crucial to maximising return and benefits back to community. I think many would agree that in the excitement of a capital development, in the political process, when councils think about better ways to deliver services, when amalgamation happens and restructures are conceived sometimes, certainly not all the time, but sometimes, there is not a lot of thinking about the reality and complexities of how these places work; the need for specialist knowledge, outward facing leadership, the necessary skills, experience and knowledge, dare I suggest recurrent funding—the characteristics that drive good programming. Forum papers will be published on the LGNSW website soon; we’ll post a link as soon as they are available.